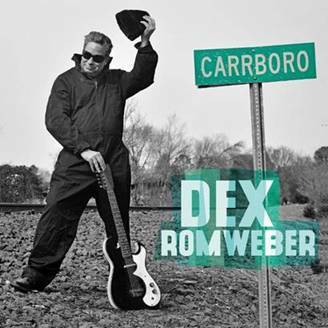 Former Flat Duo Jets leader and rockabilly, garage legend Dex Romweber will release a new solo album Carrboro on Bloodshot Records on September 9th. 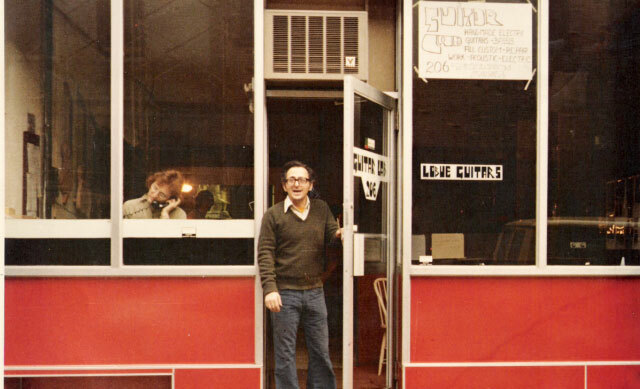 American Songwriter premiered the album’s lead single “Trouble of the World” – a song suggestive of Romweber’s earlier projects Flat Duo Jets and Dex Romweber Duo. On the new album, Dex assumes several musical mantles (and uncharacteristically plays all or many of the instruments). There’s the sparse and jumpy hillbilly liveliness of “Knock Knock (Who’s That Knockin’ On My Coffin Lid Door? 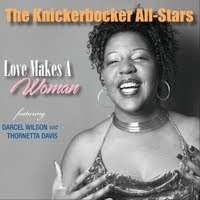 )” with help from Rick Miller of Southern Culture On The Skids; “Lonesome Train,” originally recorded by Cecilia Batten in nearby Chapel Hill in 1957; and a take on the T. Bone Burnett-penned “I Don’t Know,” sung by Ryan Bingham and The Dude for the film Crazy Heart (says Dex: “the lyrics seem to be so much about my own life… damn I just had to record it”). With the fuller sound of the New Romans, a 10-piece Chapel Hill collective, “Nightide” is a Tarantino grind on the surf-deck of the USS Enterprise, while Mahalia Jackson’s “Trouble of the World” throbs with a thrilling apocalyptic gloom. 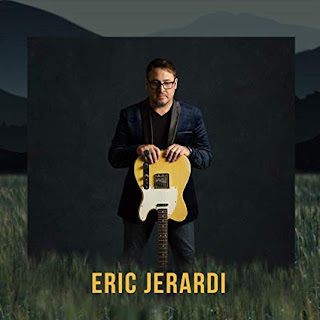 In support of the new album, Dex also announced an extensive run of tour dates including a European festival as Flat Duo Jets and a September run with Legendary Shack Shakers’ J.D. Wilkes. All dates are available on Dex’s tour page and listed below, with more to come soon.